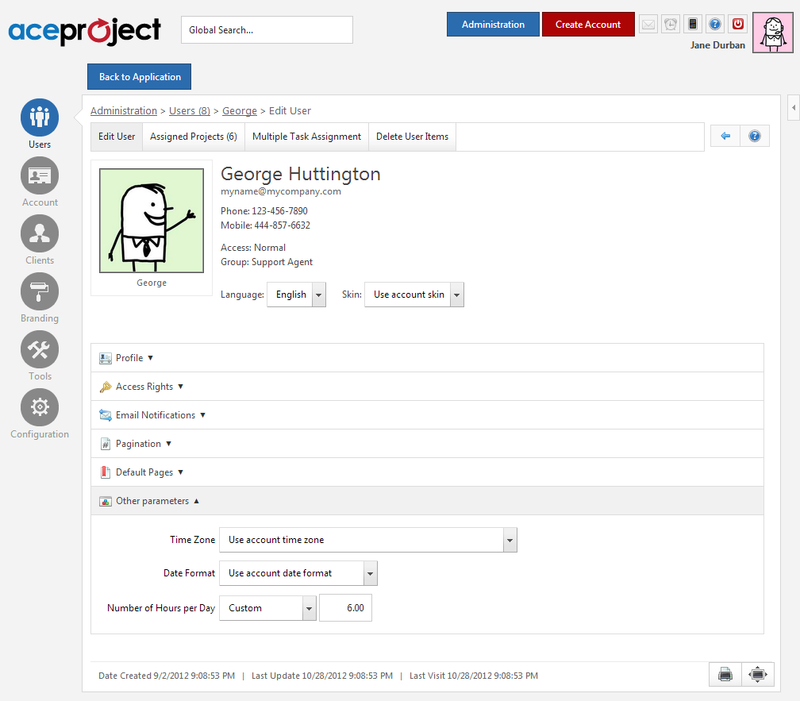 Firstly, you must define who will use AceProject in your organization. Each individual who needs to access projects and tasks must be defined as a user in your account. A user can be an employee, a subcontractor, a customer, or any other collaborator. Each user can be granted various access rights, depending on how they are involved in your business activity. Specific preferences can also be defined for each user. Select Administration => Users > Add a User. Choose a username, a password, and confirm the password. The user can be associated with a “User Group”. This field is optional. The “Contact” section is used to enter the user’s personal information. You must define the user’s access rights. » Learn more about access rights. Additional preferences such as “Email Notifications” and “Default Pages” can be defined, if necessary. You may send the connection information to the user by checking the “Send connection information” checkbox. Click “Save”. You are done! The new user has been added to AceProject.